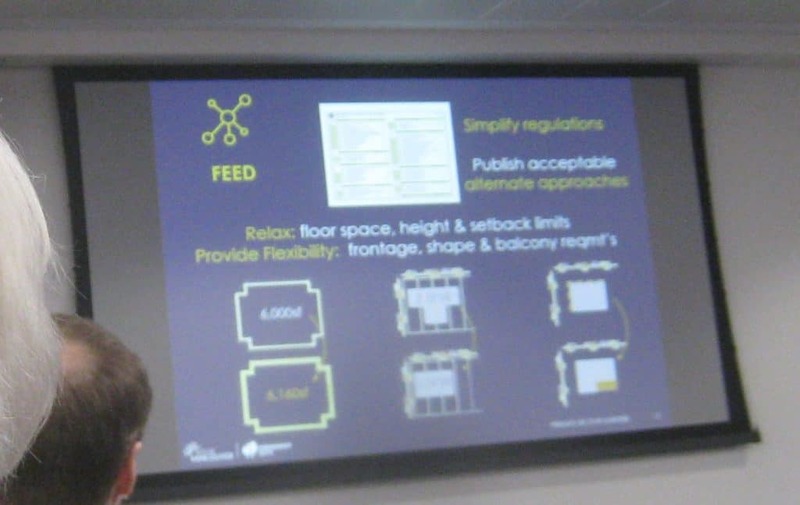 The last Passivhaus conference I attended was the very first one held in Islington Town Hall in 2010, so it was brilliant to get a chance to attend the 2018 conference held this Tuesday 13 November in Leeds. 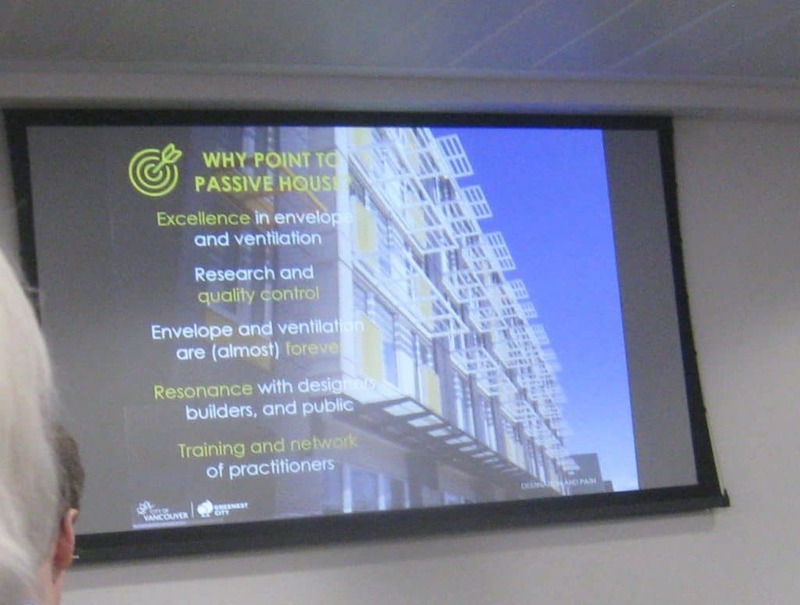 The enthusiasm for Passivhaus was still there, in abundance, but I also saw this time a maturity and depth of understanding in the UK Passivhaus community, borne from the last few years’ trial and error in delivering the first 1000 Passivhaus buildings in the UK. Knowledge dissemination and the honest sharing of mistakes and well as successes is one of the great strengths of the Passivhaus community around the world and has helped embed this technical understanding. 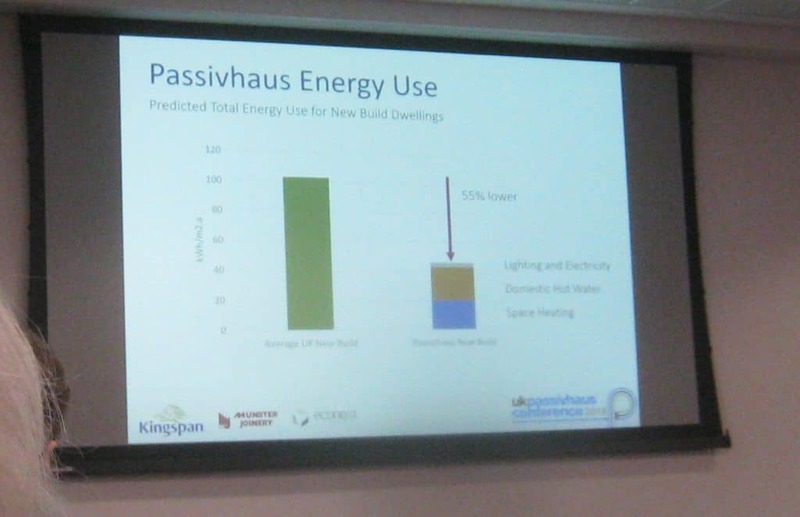 As the community has (largely) mastered the technicalities of delivering Passivhaus newbuilds and retrofits, the emphasis on the conference turned to policy, and seeing how Passivhaus might be more widely adopted in the UK through planning or building regulations and support from local and national Government. 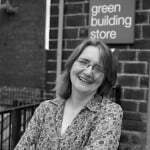 This is a subject close to my heart, through my involvement in the Zero Carbon Yorkshire BUILDINGS group, which works on, among other things, ‘promotion of Passivhaus low energy building standard (for newbuilds) to local authorities and housing associations within Yorkshire’. The good news is that the Passivhaus Trust is getting increasing interest at both national and regional government level. 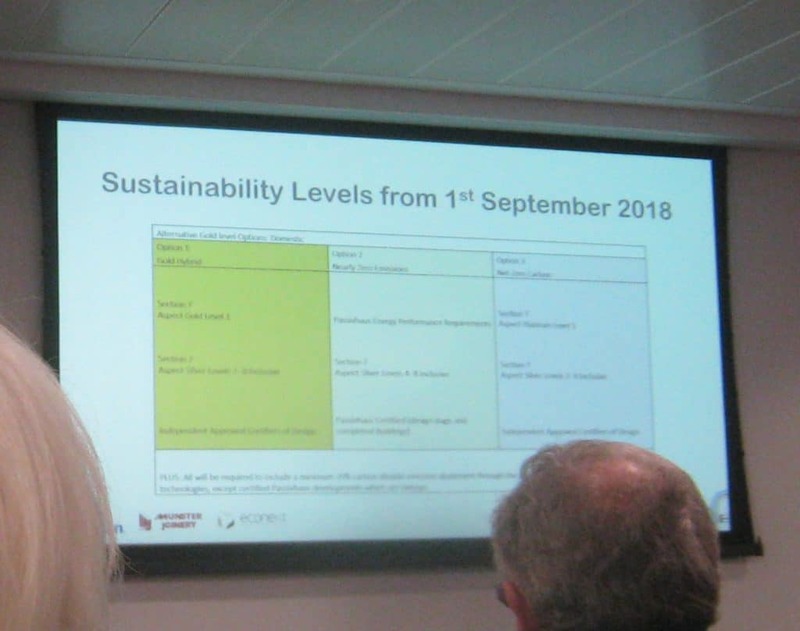 Jon Bootland of the Passivhaus Trust also mentioned some positive developments including discussions with the Department of BEIS among others, following Theresa May’s launch of the Building Mission challenge at Jodrell Bank earlier this year. This outlined an ambition to halve energy use of buildings by 2030…a job for Passivhaus if ever there was one! 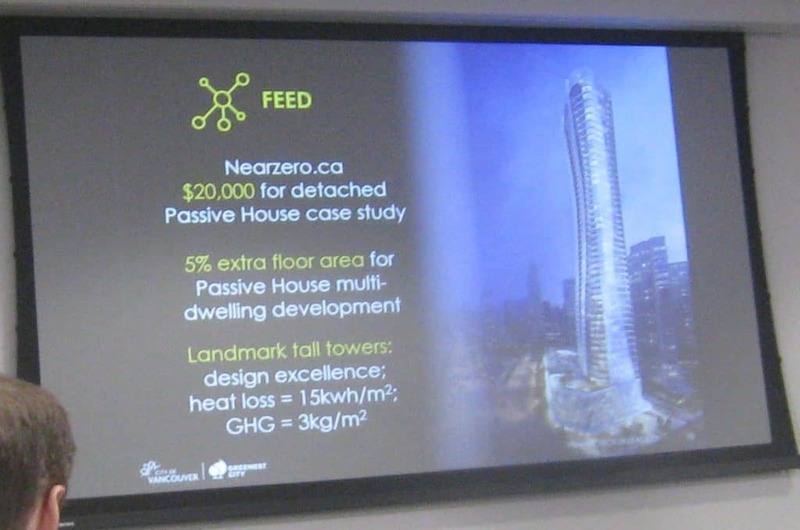 Sean Pander, Green Building Manager of the City of Vancouver, gave some much-needed inspiration by outlining how Vancouver has promoted Passivhaus, and achieved an amazing scale of uptake – from one Passivhaus in 2015 to 2590 in 2018. It has been important for Vancouver to have a clear destination and roadmap within the building regulations, ultimately pointing to Passivhaus. The reasons Vancouver likes Passivhaus are outlined in the slide below but include: its effectiveness in heat energy reduction; the fact that fabric first measures were fixed ‘almost forever’ measures that require little subsequent attention; and quality assurance. Sean also noted that materials for building envelopes were more likely to be made locally, so also having local economic benefits. Vancouver also has a positive working relationship with the construction industry and has worked hard to find private sector leaders with passion who shared their knowledge willingly. Sean acknowledged the value of having the expertise already on the ground in the Passivhaus community. He was able to talk to experts when objections were thrown at him, but he was also able to facilitate conversations between developers who were nervous/concerned and existing practitioners who had already dealt with the problems they feared they would face. Lastly, a crucial element to the policy was also a series of incentives offered to individuals and developers undertaking Passivhaus. These ranged from cash boost of $20,000 for one-off houses to relaxing planning rules and allowing greater density and floor space for developers building to Passivhaus. Vancouver’s focus at the moment is on newbuilds as retrofit is complex and this way at least the city is not creating the retrofits of the future. The City wants to up skill the construction industry for newbuilds first, skills which can then later be applied to tackling retrofits. He started and ended his talk with the phrase: “Trust me, I’m from the Government. I’m here to help.” From him, this definitely did not have a hollow ring! Exeter, Norwich, and now, Glasgow councils stand out for their strong support and commitment to Passivhaus. It was good to hear more about projects underway, including Norwich’s Goldsmith St project, which is the UK’s largest Passivhaus social housing project to date, with 105 units currently nearing completion. Glasgow is the only local authority in UK to set Passivhaus as a compliance option in regulatory standard, enforced through planning. There are currently 165 Passivhaus units underway in Glasgow, mostly for social housing providers. Exeter council builds to Passivhaus as standard for its own builds and Emma Osmundsen, Shadow Director (Development) and Client Lead (Build) at Exeter Council shared her advice for local authorities and housing associations embarking on Passivhaus, advising them to start small to build confidence and also to take key stakeholders to visit other projects and listen to tenants’ stories. I’m still processing all the information gleaned during the day but here are a few other key take-aways for me. It was great to hear about both large and small scale retrofit projects, from Energiesprong projects to the UK’s first certified Step-By-Step EnerPHIT project undertaken by architect Harry Paticas on his own home. The knowledge within the community is growing exponentially! 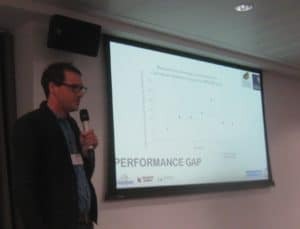 Tom Heel, Oxford University’s Deputy Head of Environmental Sustainability, spoke of the challenges the University faced reducing its carbon emissions, while also expanding its building stock, and shared the analysis of the ‘Performance Gap’ in terms of energy savings at several of its recent ‘BREEAM excellent’ buildings. It is this empirical science-based approach which has led it inexorably towards the Passivhaus standard, with its first Passivhaus project completed at Kellogg College, with more now in the pipeline. I came away feeling hopeful and inspired. Given the recent terrifying IPCC report and the need to turn carbon emissions around rapidly, the next few months are crucial for our national and local politicians to grasp the nettle and follow the examples of Vancouver, Exeter, Norwich and Glasgow. The UK Passivhaus community is ready and waiting. Great article! It was truly a very inspiring conference, especially Vancouver’s success story.